The world’s first quantum communication satellite, callled Mozi, the 600+kg Quantum Experiments at Space Scale (QUESS), nicknamed Micius after the ancient Chinese philosopher and scientist, is now officially operational following months of in-orbit testing, the Chinese Academy of Sciences (CAS) announced, saying that performance of the device is “much better” than was initially expected. The state-of-the art satellite was launched into orbit by in August, to provide “hack-proof” communications in an age of ever-increasing cyber espionage and potential space-based warfare. Quantum communication will enable China to provide high-level communication security support to areas like islands in the South China Sea, Chinese embassies and consulates in foreign countries, and naval vessels. Mozi has been selected as one of the ten innovative technologies that changed the world in 2016 by Scientific American, and is the only tech on the list that was developed outside of the United States. QUESS satellite is the “first-ever space-ground test platform for quantum communication”, said Wang Jianyu, executive deputy chief engineer of the project, Xinhua quoted. 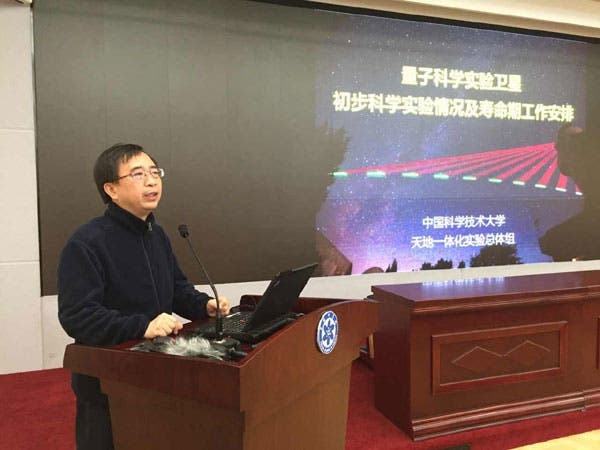 Pan Jian-wei, Chinese quantum physicist pioneer and the chief-engineer, announced that preliminary data has been obtained from the satellite and that the research team has begun to carry out experiments of transmitting uncrackable communications messages to two ground stations separated by about 1,200km (746 miles). 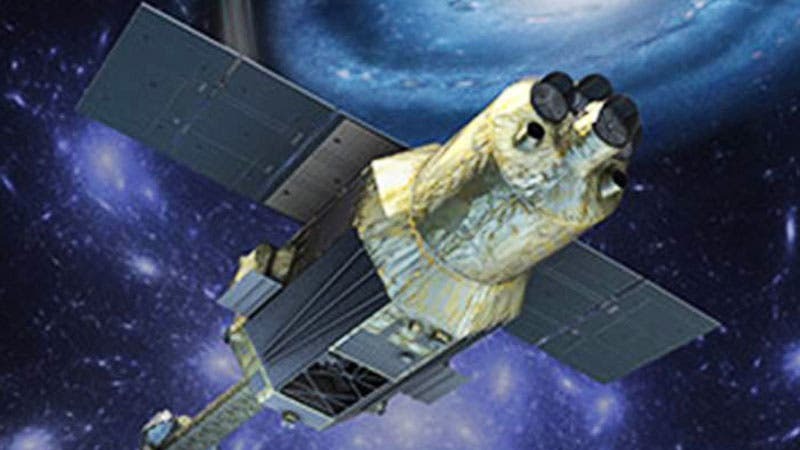 “The overall performance has been much better than we expected, which will allow us to conduct all our planned experiments using the satellite ahead of schedule and even add some extra ones,” Jian-wei said, as cited by the China Daily. The satellite contains a quantum key communicator, a processing unit, a laser communicator, quantum entanglement emitter, and entanglement source to transmit quantum keys to Earth. QUESS uses a principle of ‘quantum entanglement’, an act of fusing two or more particles into complementary ‘quantum states’. Quantum communication is designed to be hack-proof as a quantum photon used in the process can neither be separated nor duplicated without detection. In an interview with nature.com Pan Jian-wei said “our first mission is to see if we can establish quantum key distribution [the encoding and sharing of a secret cryptographic key using the quantum properties of photons] between a ground station in Beijing and the satellite, and between the satellite and Vienna. Then we can see whether it is possible to establish a quantum key between Beijing and Vienna, using the satellite as a relay. “The second step will be to perform long-distance entanglement distribution, over about 1,000 kilometres. We have technology on the satellite that can produce pairs of entangled photons. We beam one photon of an entangled pair to a station in Delingha, Tibet, and the other to a station in Lijiang or Nanshan. The distance between the two ground stations is about 1,200 kilometres. Previous tests were done on the order of 100 kilometres.